Innovation Quarter is the newest hot-spot in Winston Salem. It is a hub where established companies, brand new start-ups, students from Wake Forest University, and more gather to create and innovate. And UMA is proud to have been a part of Innovation Quarter since its beginning! Since 2013, UMA has completed three foundation up fit projects with whiting tuner as a part of the innovation quarters in down town Winston. Innovation is a key part to the success of UMA, so it only makes sense that we were there to help develop this rightfully named Innovation Quarter. UMA was brought on to install 16 micropiles to the Wexford Science & Technology 90 South Building. These micropiles would support the existing footings of the building, for an elevator expansion. From the original 90 South Building, UMA then continued to another Wexford Science & Technology building. Wexford Building 60 also had increased loading on the existing building foundation. UMA installed 19 micropiles that included 4 different types. Type 1 micropiles had a 5 ½ inch casing, Type 2 had a 6 ½ hole that utilized an epoxy coated bar as a central reinforcement, Type 3 also had a 5 ½ casing that plunged 7 feet into partially weathered rock, and Type 4 also had a 6 ½ inch hole that utilized an epoxy coated bar as central reinforcement at a minimum depth of 40 feet below the bottom footing. 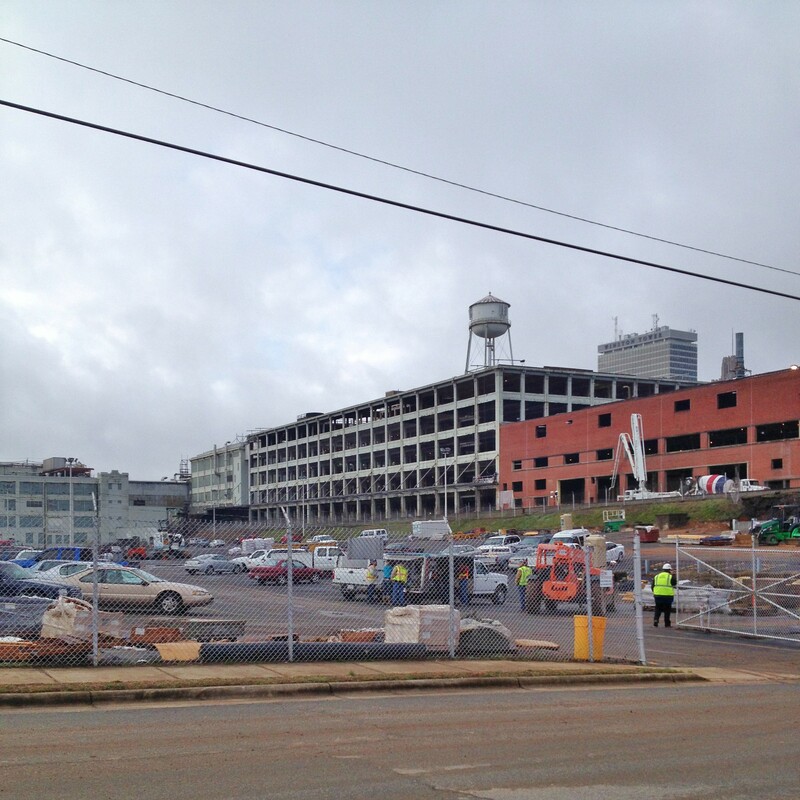 Finally, in 2016 UMA was brought back to the Innovation Quarter through the renovations of the Bailey’s Power Plant. The Power Plant now houses multiple different sets of apartments and residencies. 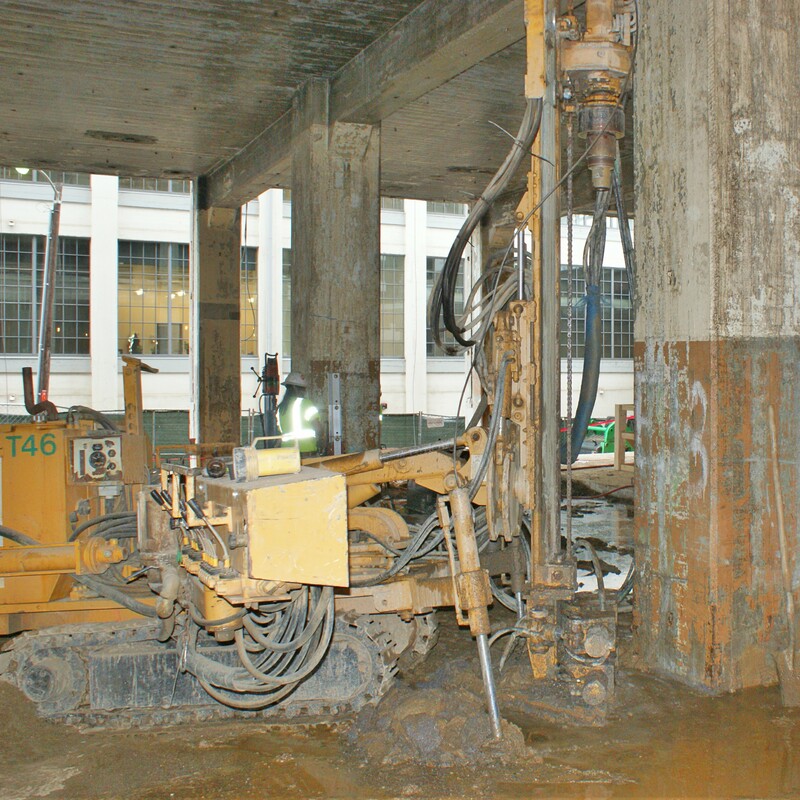 This project required micropiles that would have the average depth of 55 feet. These micropiles that were would consist of two different types: Type one having 5 1/2 inch casing and Type 2 having 4 ½ inch casing that would house a Titan 52/26 hollow bar as the central reinforcement, the casing was utilized for shear loads at the top of the piles. Over 3 years UMA was able to bring back to life the foundations of multiple sites at Innovation Quarter. 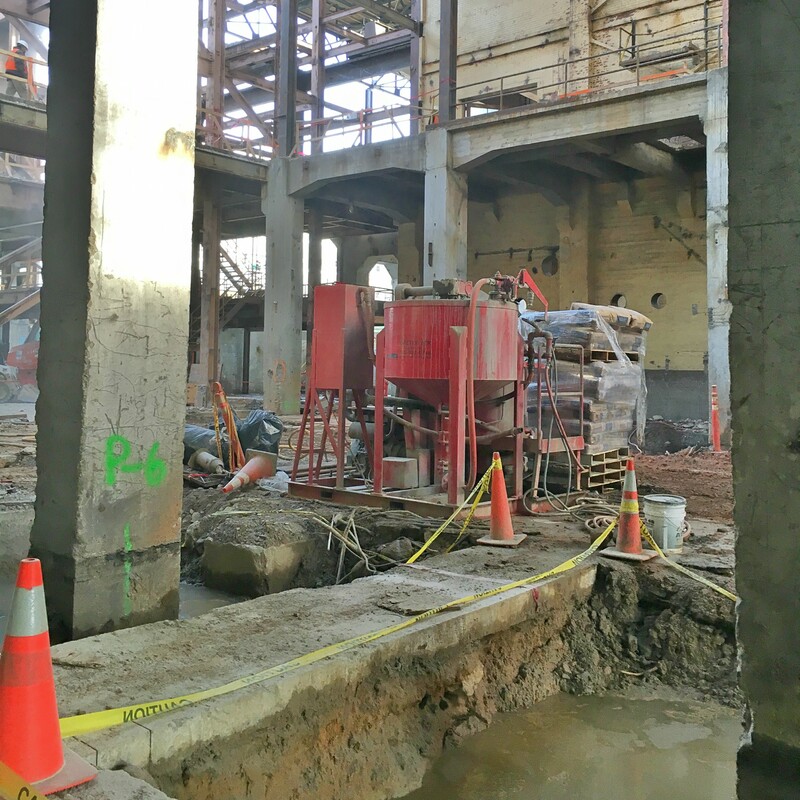 Through innovation and creative problem solving, UMA was able to help Wexford Science & Technology and Bailey’s Power Plant Renovations come back to life after decades of disrepair. Innovation in geotechnical construction helped Team UMA develop Innovation Quarter.